Available to purchase as a superb investment is this large, semi-detached commercial/residential building well positioned on Wynnstay Road off the town centre. GROUND FLOOR & FIRST FLOOR OFFICES - Available to Let at £8,500.00 Per Annum. 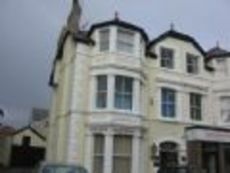 SECOND FLOOR FLAT - Previously Let at £375.00 P.C.M. REAR UNIT - Currently Let at £120.00 P.C.M.